Visitors of Shanghai will not experience problems in finding a proper accommodation because this city offers all price categories and in large numbers. Starting from modest accommodation in hostels and B & B, midrange hotels, to the luxury 5-star hotels – everything and even more is available to tourists. The prices are, however, slightly higher than in the rest of the country. The lovers of international hotel chains will be delighted, because almost all major world hotel brands operate in this giant city. 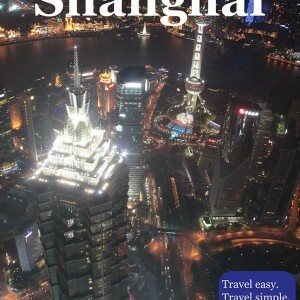 Shanghai is a city where you can choose accommodation, not only by rank or price, but also by your own lifestyle. Those who prefer European architecture should look for the accommodation around The Bund and French Concession, those who love Chinese culture should be directed to the Old Town, and lovers of modern architecture will be delighted with Pudong. Many of the hotels in Shanghai are not only the places that offer accommodation, but also attractions themselves. Some have very curious history and tradition, while other may brag with their fancy architecture. In order to be close to the main city attractions, it is the best to look for the accommodation in areas around The Bund, Nanjing Road, and French Concession. Another advantage of the French Concession is a rich nightlife and a large number of restaurants. Nevertheless, given that Shanghai has a highly developed public transport, you can find the accommodation not necessarily near the usual tourist attractions. Out of season, discounts for accommodation are significant, especially in the most expensive hotels. Most hotels offer a discount if you book in advance. Do not hesitate to ask for a discount.